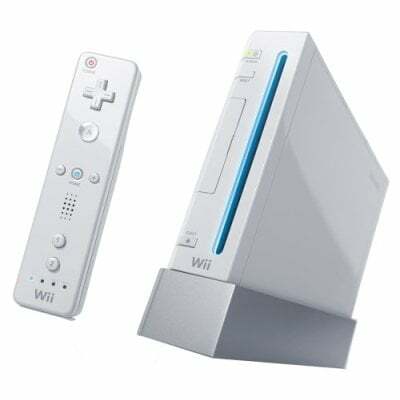 Nintendo Wii to ship in UK on 15 October? When will Nintendo ship its next-generation games console, Wii? Nintendo's not giving a precise date, of course, but some retailers are beginning to hazard guesses. Whether they're based on inside knowledge or the latest internet rumours we leave to you. Amazon.co.uk, for example, presents an array of Wii-compatible games, all of which are due to ship on 24 November. So too, it seems is the console itself, which has even managed to garner a pair of five-star reviews. Not bad for a machine you can't see outside of a Tokyo lab. The famous etailer has no price posted for the console, but importer Renchi.com wants £136.75 for it. No great insight there: that's the dollar-to-sterling conversion price based on the assumption Wii will cost $250 Stateside. Shopto.net, on the other hand, has a more realistic UK price: £150 - kind of what we'd expect based on what Nintendo has said about the US price and what we know of the inevitable UK mark-up. The online retailer also says the console will ship on 15 October. Thanks to Reg Hardware reader Peter for the tip.